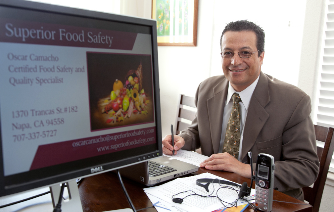 Oscar Camacho founded Superior Food Safety in 2009 and has built a reputation as the go-to food safety expert. Mr. Camacho’s on-the-job experiences and consulting and training engagements span the globe and the entire range of the industry – from restaurants and retailers to food production at large-scale manufacturing plants. Mr. Camacho previously worked as the founder and CEO of two food companies. His responsibilities at all levels in food industry corporations ranged from making food to being the Director of Food Safety and Quality, Site Operations Manager and Production Manager. This breadth of knowledge and experience enables Mr. Camacho to effectively advise clients in the best ways to organize and assign food safety roles within a Food Safety System. What sets Mr. Camacho’s work apart is his ability to analyze top-to-bottom organizational charts and quickly zero-in on systemic food safety flaws and deficiencies within each company. He not only identifies gaps but institutes ways to improve food safety culture, recommending the right management for the right food safety program. As companies with compromised food safety systems know, merely instituting programs and hoping they are enforced is a costly and futile exercise. Success requires company-wide allegiance to excellence, clear lines of communication and reporting, personal accountability, provision of resources to maintain the programs, and continuous improvement when systems do not work smoothly. 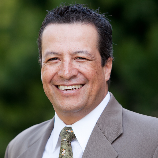 With over 28 years of hands-on experience in the food industry, including ownership of two food processing plants and extensive work with two of the largest food manufacturers in the world, Oscar Camacho’s inspiring, first-person accounts of food safety successes and failures put accountability into sharp focus for his clients and their employees. Food safety workers emerge from Superior Food Safety training or consulting sessions with a clear understanding of what it means to do the right thing. Oscar Camacho is a Certified FSPCA-Human Foods Lead Instructor and Consultant, a registered SQF Consultant and Trainer and a former SQF Auditor. He holds a BS in Biology and an MS in Food Science and Engineering from the Universidad Politecnica de Valencia in Spain. He also holds a Certification in International Management and regularly continues studies in business administration. Mr. Camacho has helped numerous US and Latin American companies achieve SQF certification with excellent scores. Today 1.3 billion tons of food are produced every year. But how can we ensure food safety from farm to fork? Superior Food Safety training is offered at top facilities in beautiful downtown Napa in the heart of California wine country. While receiving the best in food safety training, our clients also enjoy exceptional weather, stunning nearby countryside vistas and access to some of the world’s best restaurants and wineries. We also provide customized, on-site training for our clients worldwide. All classes are offered in English and in Spanish. Our highly praised training services cover all prerequisite programs for Food Safety Management Systems, HACCP and FSMA. We are developing more detailed training in areas such as Food Defense, Preventative Controls and HARPC, Integrated Pest Management Systems, Environmental Monitoring, Crisis Management, Food Safety and Quality Continuous Improvement, among other offerings. At these more detailed training sessions, Superior Food Safety welcomes experts who enrich our course offerings with their deep experiences in various food safety fields. If your concern is food defense, for example, we would offer an expert who teaches the steps needed to guard against bioterrorism and outside threats to your company’s food safety. Whatever your needs, Superior Food Safety can gather the necessary resources to present you with the training and expertise that will set you on the path for success. The FSPCA training materials are designed to meet the requirements for training under Title 21 Code of Federal Regulations Part 117.155 for the Preventative Controls "Qualified Individual" who conducts Food Safety Plan activities such as developing and reviewing a food safety plan, validating preventive controls, verifying and validating process controls among others. Attending an FSPCA course will provide assurances that the course content and resulting knowledge is consistent with regulatory expectations. Each facility registered with FDA is required to have a Preventative Control Qualified Individual PCQI. This course meets the Preventive Controls Qualified Individual Training requirements. The participants will receive FSPCA Preventive Controls Qualified Individual certificate of attendance issued by AFDO. Food safety standards that deal with this division are the most widespread among all regulations. Government agencies for agriculture are usually in control of these standards. Politics may also play an influential role in decision-making, especially since this division deals with trade and import. European countries, for instance, have firmer rules on importing genetically modified crops compared to the United States. Some countries may also restrict dairy products made with unpasteurized milk. Another way to look at food safety standards is through distribution. Processing is an example of this division. Most cases of contamination begin during production and processing, which is why prevention is crucial at this stage. Standards that focus on this division emphasize the importance of stopping contamination at an early level, before it causes widespread harm. A country-wide contamination can easily spread to a full-blown worldwide disaster if food safety is not practiced from the very beginning. Not only will it require immense effort in recalling contaminated items, but food safety malpractice may also lead to poisoning and illness. Both consequences have an enormous impact on the country's economy and may lead to greater expenses and losses in profit. The national agency of agriculture is held responsible for making sure that standards in distribution are met. All methods and precautions should be exercised to prevent cross-contamination and ensure food sanitation. Food safety regulations that are included in this division are more focused on food presentation and handling. This includes maintaining the appropriate temperature in salad bars and storage freezers. Meat and poultry should be prepared in accordance with the recommended heat level. Otherwise, consumers should at least be informed that the meat was undercooked. For instance, customers may have different preferences with how their steak is prepared. Good hygiene goes hand in hand with food safety. Employees who are directly in contact with food items should practice proper hygiene in food preparation and handling. The local health department is in charge of implementing these guidelines in the food service industry. Depending on the government, these policies may require overall hygiene in the workplace and service area. Some employees are even encouraged to wear hairnets while preparing food. Food safety should not be taken lightly, especially by those who are engaged in the food service industry. Business who are non-compliant to these standards are at risk of losing their license to operate, and may even be required to pay fines. The local government reprimands uncooperative businesses by revoking their licenses until proper action is taken. What Important Standards Do Food Manufacturers Need to Follow? It is the industry which directly affects the health and well-being of people. This is the reason that renowned food organizations like FDA in the USA show concern in setting up standards for the industry. Its around the world need to abide by these standards religiously. The food products manufactured in one country are exported to the global consumers. As a result, there is need to follow international food manufacturing standards that maintain the quality of manufactured food products in different categories. Here is a discussion about the most important standards that food manufacturing industry follows internationally. To begin with, its need to follow the standards for the workers who perform different tasks related to food manufacturing phases. These workers are required to be healthy and they should not suffer from issues like skin allergies and other diseases that are communicable in nature. Moreover, it companies must ensure that the workers suffering from temporary problems like lesions and wounds are not allowed to perform activities that require direct touching of food and equipments. Among the most important regulations and standards that food manufacturers must follow are related to hygiene of the food manufacturing sites. These sites must be located at hygienic places and should not be surrounded by contaminated water resources and dumping grounds. Going further, there must be arrangement for cleaning the food manufacturing sites to prevent the growth of bacteria. Another important requirement is to control pests that may infect the food with disease causing germs. It must take care of purchasing standard equipments for various processes. It is also important to clean the equipments after regular sessions of food processing. Regular inspection of these equipments against cracks and wear and tear must also be conducted to keep them in the good form. There must be good safety standards which must be followed by it at their manufacturing sites. Protective clothing, gloves and hair nets must be provided to the workers. Moreover, it is important that these workers undergo training before they start working at different equipments. Like other manufacturing industries, the food manufacturing industry too produces waste in the form of solid, liquid and gaseous wastes. Its need to follow standards to dispose different types of wastes in the most suitable manners. In other words, the manufacturing sites must not contribute towards the environmental contamination. Finally, there are quality control standards that it must follow to ensure that good quality food products are supplied to the consumers. The ingredients used for manufacturing foods should be tested and harmless. Before packaging different food products, they must be tested to ensure that they have right taste and quality. Besides, there are food packaging and transportation standards set by the food organizations. Consumers around the world must also keep these standards in mind while choosing the manufacturers whose food products they must buy. 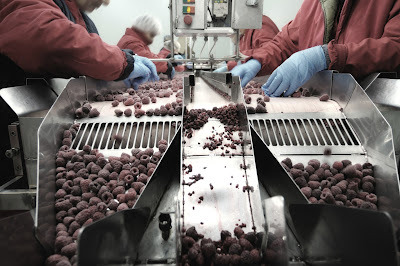 Food safety audits are required for companies in the food manufacturing and processing industry. Generally, such examinations must be carried out by a third-party, or an independent inspector. However, these inspections are not for the compliance of legislative policies for food manufacturers. An examination of this nature is voluntary. It basically depends on the judgment of the company owner or manufacturer if they wish to go through the process. However, there are instances when a food safety audit is necessary. Companies can voluntarily submit to examinations that involve inspection of facilities, equipment, and procedures. An audit could be a key to discover flaws in the process and faults in the equipment units. 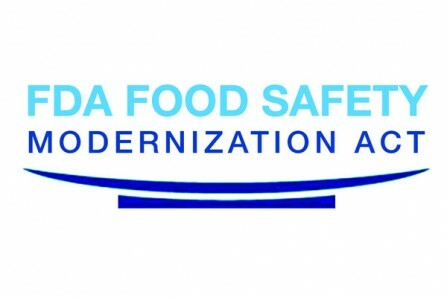 Early voluntary inspection allows food manufacturers to prepare for the compliance inspection, conducted by a government agency. The government imposes strict sanitation guidelines for food manufacturing and processing companies. Any food manufacturing and processing plant must be organized and uncontaminated. Audits in the food industry may be implemented during the manufacture or production, packaging, and distribution. To ensure the validity of the audit, third-party inspector services would have to be obtained. During the inspection, a team of employees may have to accompany the examining personnel, not only to guide the inspectors, but also to learn pointers from them. This could be treated as training for the workers. The assessment is actually an opportunity for your company to take note of the ideal practices in manufacturing. Pointers taken from the inspecting team can be used for the benefit of your company in the long run. Such pointers can be used to improve facility and to develop better production methods. An independent inspector will look at your work site differently, and they would notice things that you might have neglected inadvertently. They may provide accurate assessment of the working conditions present in your establishment. Generally, the assessment serves to make your company's working conditions better and ensures better quality of your products. 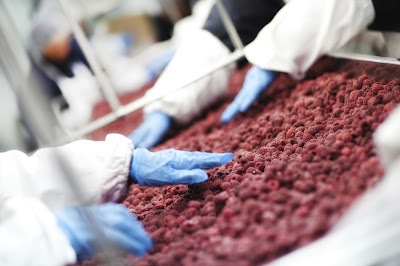 One of the most important outcomes of third-party examination is the evaluation of sanitary conditions, which are extremely important in any type of food business. Companies in the meat, fish, poultry, fruit, and vegetable industry can take advantage of third-party inspection. Sanitation inspectors can point out possible unhealthful practices in your manufacturing procedures. They may also point out possible contamination of equipment by using instruments. Independent assessors may suggest the need for services of a food safety cleaning company. 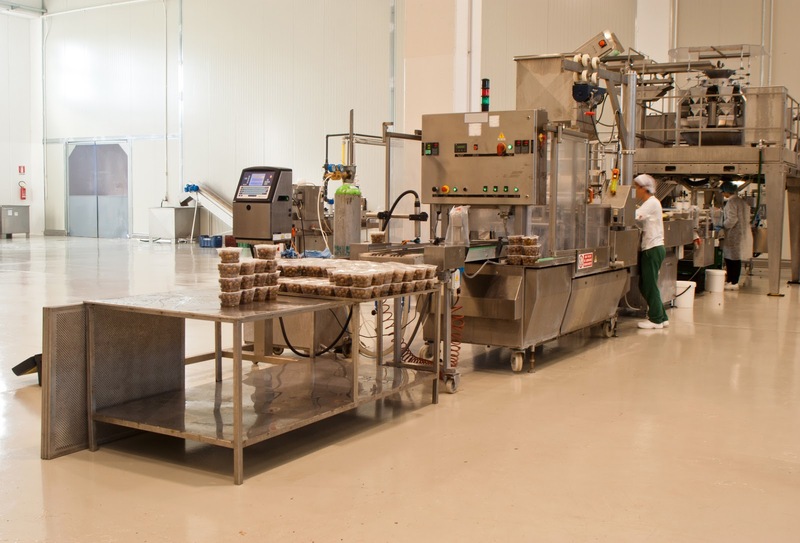 However, companies in the food industry should conduct regular cleaning and sanitation in their production facility to ensure manufactured food products are uncontaminated. Food safety audits should determine possible problems in the preparation, production, and packaging of food products. Identification of the problems at any stage of the process is the first step in solving problems and upholding of product quality. The audit team should consist of sanitary specialists, microbiologists, and epidemiologists. The validity of an examination can only be ascertained if it is carried out randomly. Food manufacturers should look for independent food safety auditors with a good track record. There are third-party food plant inspectors out there but look for the ones with good reputation, and with the appropriate background in food plant and product assessment.